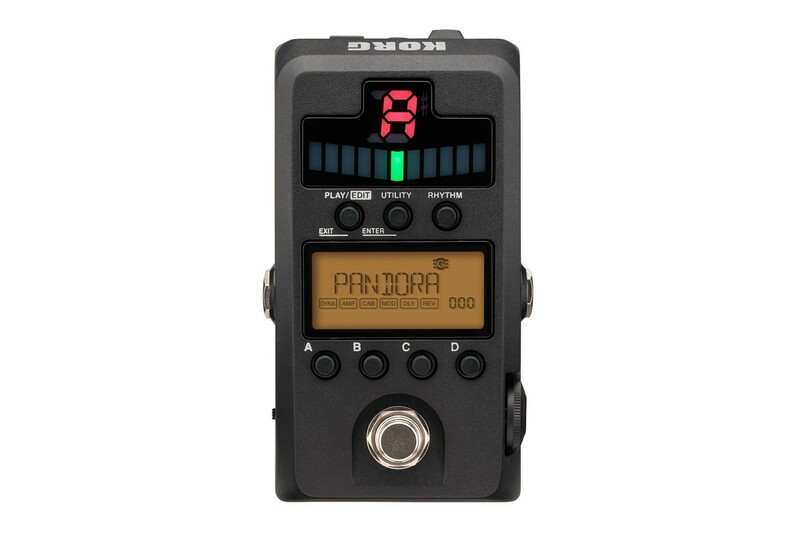 Pandora Stomp - the compact multi-effect unit overflowing with options. 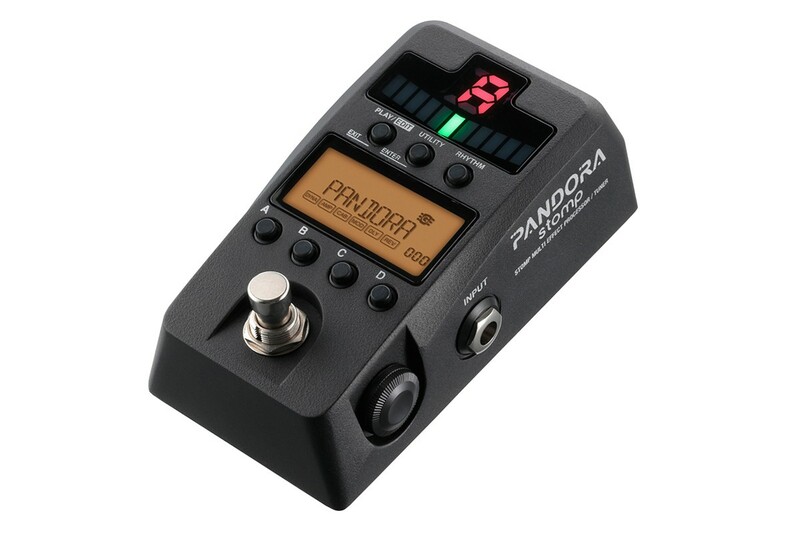 The highly-acclaimed Pandora modeling multi-effect processor is now available as a pedal in a sturdy die-cast body with a highly visible tuner. body with a highly visible tuner. The first-generation Pandora, which appeared in 1995, was a revolutionary product that packed an amazing amount of functionality into a unit the size of a cassette tape, overturning all expectations of multi-effect units. Subsequently, it has continued to evolve to meet the needs of a wide range of users, adding "REMS" modeling technology and enhanced rhythm functionality. 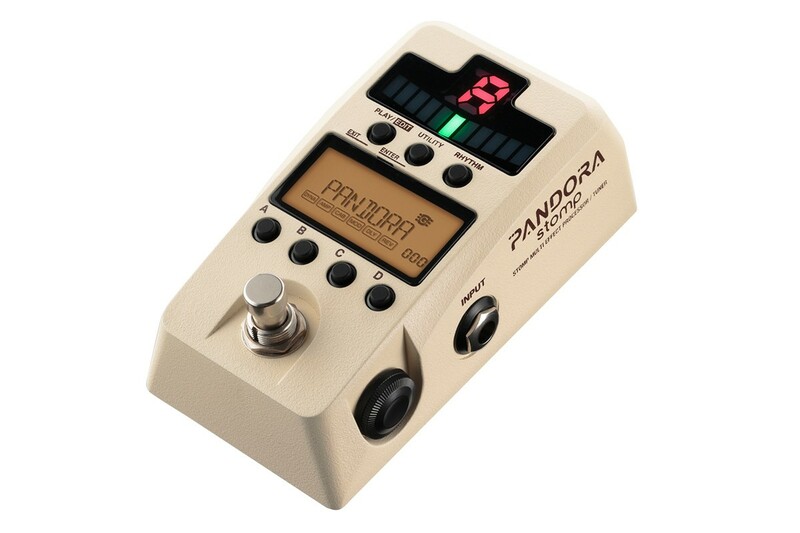 Now in 2013, the latest unit in the Pandora series is a stomp-box type unit. Although it looks like a compact effect unit in a die-cast body, it&apos;s actually a multi-effect unit that contains 158 types of modeling effects; seven of which, you can use simultaneously. Two hundred preset programs include many well-known signature sounds as well as 100 rhythm patterns that cover a diverse range of styles. There&apos;s also an auto tuner with an eye- catching LED meter that’s easy to read. You can also enjoy jam sessions by connecting your MP3 player to the AUX input, which provides a +/-1 octave pitch shift function. The freely downloadable PC editor/ librarian makes it easy to create and manage sounds. 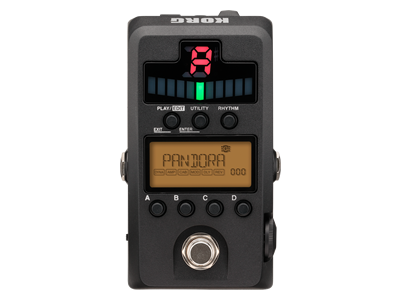 Whether used on its own, or alongside your pedal board, the Pandora Stomp delivers exactly what you need for practice and recording at home or on stage.